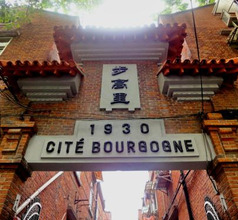 Cite Bourgogne is a Shanghai's traditional neighborhood (Shikumen Lilong) built in 1930 and preserved till today. It is situated at Shaanxi Nan Lu and Jianguo Xi Lu, close to Jiashan Road Metro Station. It was built and named by the French but was given a Chinese name - Bugaoli. 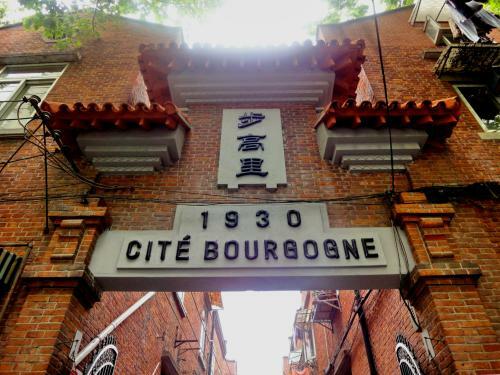 Cute Bourgogne was initially meant for the middle class and was designed to be homes to 78 families. However, due to the population explosion in China, it is now accommodating 450 families. This is the best place to see a historical architectural masterpiece and the guards may allow you to move around.